Move seamlessly from the verdant gardens to the glistening pool through to our long private beach with infinite views over the turquoise seas. Feel the same release indoors in our light-flooded ample spaces designed in a fresh contemporary style. Time is yours to do as you choose. Spend long hours unwinding in the Almablu Spa, slipping into clear pools, steaming in the Turkish baths and being pampered in the massage suite. 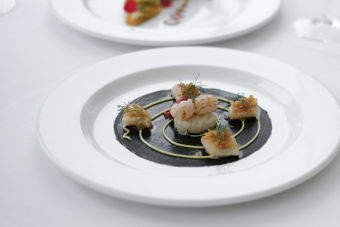 And delight in exquisite cuisine with menus offering the best of Italy as well as the tastes of distant lands. Your every whim is our desire at Almar Jesolo. Enjoy an incredible range of enticing dining options, from Mediterranean Italian cuisine to modern fusions; the choice is yours at Almar Jesolo. along the path of self-discovery. 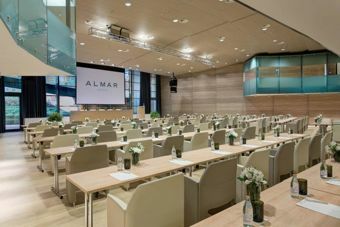 A world class convention center to seat over 500 guests, with cutting edge technology to ensure your event or meeting is absolutely unique. Have you decided yet where you will spend your Easter holidays? By the sea! A special offer to enjoy an Easter weekend dedicated to relaxation and good food. 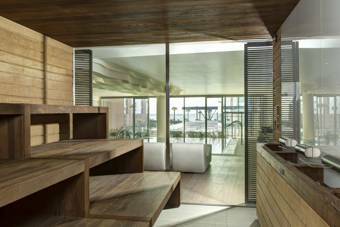 Modern yet authentic, an innovative luxury experience on the cusp of Venice. An experience to write home about. deals to suit any occasion! Plan now your 2019 getaway! ‘The Art of Hospitality” in an exceptional luxury experience to be relished at Almar.